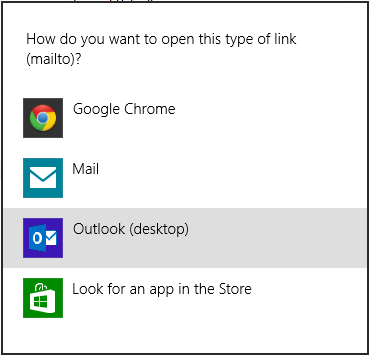 How do I change my default email client on my Windows 8 computer? 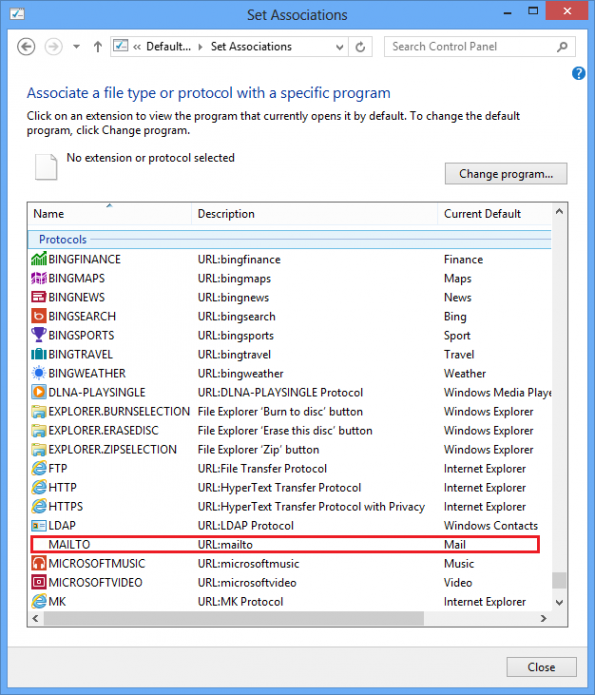 Step 3: Scroll down the programs list to find the “Protocols” section. Then look for “MAILTO” and double click on it to set your preference. 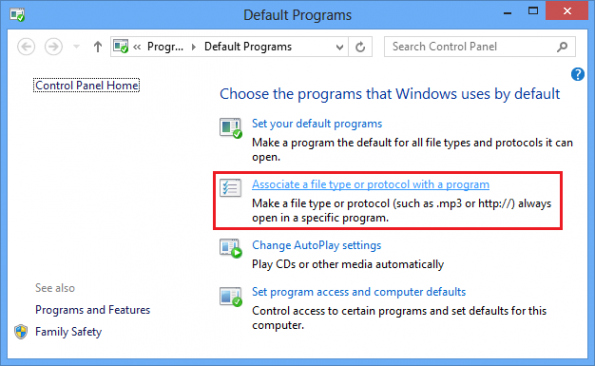 Step 4: You can then choose the appropriate program from the list. Step 5: Choose the one you wish to set as your default.